When you hear the word massage you instantly think of relaxation. It is a chance for you and your body to completely unwind. After all, who doesn’t love to be pampered? Nevertheless, it is imperative to note that the benefits of massages run a lot deeper than this. There is a wealth of different reasons why individuals should book themselves into the spa on a frequent basis to receive this kind of treatment. Why are massages good for your health? Before we start looking at the different types of massages that are available, it is vital to establish why they are so good for you. With that being said, let’s take a look at the benefits of massages in further detail. You may be surprised to learn that they offer much more than a chance to relax and be pampered. • Improved circulation – Massage therapy is great for your health because it improves the body’s circulation which in turn enhances waste elimination and also nourishes cells. • Helps to heal scar tissue – Particular styles of massage can help the body when it comes to healing scar tissue. It is also beneficial when it comes to the healing of muscle, ligament and tendon tears. • Pain relief – Individuals experiencing any sort of pain – such as tight muscle aches – are often advised to book themselves into a spa for this treatment. • Improved energy – You will notice that your feel revitalized and that your energy levels will have increased. • Nerve compression release –This is in relation to the likes of sciatica and carpal tunnel. • Enhanced flexibility – Last but not least, another reason why massages are beneficial is that they improve an individual’s range of motion and overall flexibility. What types of massages are there? • Deep tissue – This is extremely beneficial for those who are suffering from pain or are feeling particularly tense. It goes deeper than the surface of the top muscles. • Hot stone – This treatment involves the use of heated stones in order to penetrate into the muscles and relieve tension. • Medical/injury specific massages – You can also get a massage from companies like Motus as part of your physical therapy or occupational therapy. revitalized will be part of a wider treatment plan. • Aromatherapy – This treatment incorporates using a wealth of different essential oils in order to invigorate energy centers, uplift spirits and help you to relax. • Reflexology – This massage involves using certain acupressure points in the feet, hands and even ears. These points all coincide with every different system, gland, and organ in the body. It is all about stimulation and self-healing. • Swedish – Let’s end on the most popular massage of them all; the Swedish massage. This involves the use of five different styles of massage strokes, such as kneading and gliding. Unfortunately there is no right or wrong answer to this question. It all depends on the individual in question. For instance, if you are someone who suffers from aches and pains then you may be advised to go on a weekly or fortnightly basis. Nevertheless, for the average individual once a month is recommended. Where can you find the best massage? Last but not least, you obviously need to know where to get the best massage. For this, you will need to do research into the local spas in your area. Take the time to do this properly. You need to make sure the person treating you has the correct experience and qualifications because if a massage is not carried out properly, it can actually cause damage. You can also read reviews that have been left by people who have had the massage in question before. 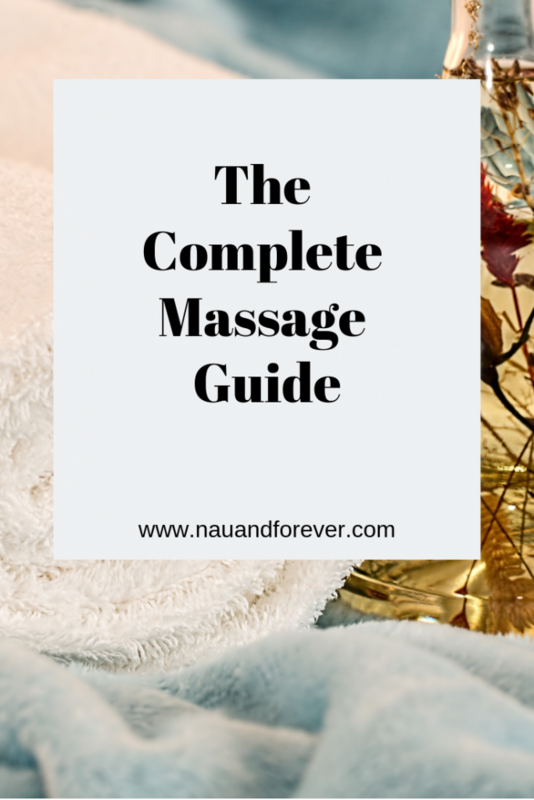 Hopefully, you now know everything you need to about massages. There is no denying that this is something everyone should have on a regular basis. However, the type of massage you go for depends on your unique situation and what you hope to gain from the experience. Do you get regular massages? Which kind do you prefer? This information is very useful. Massaging relaxes your body after a heavy workout.